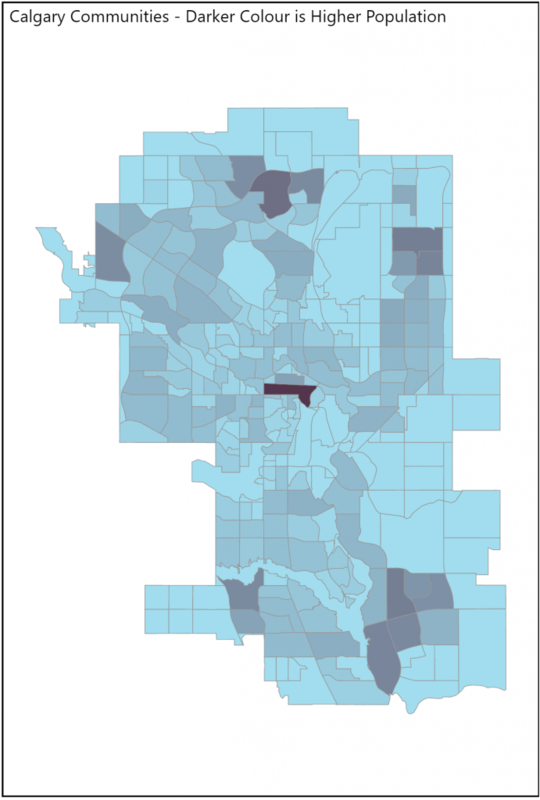 What is Calgary's population and how is it distributed? Fuzeium has received numerous requests to depict Calgary's (Alberta, Canada) population in relation to communities. Information of this nature is useful to marketers/advertisers, city planners, developers, non-profits, real estate, economic development etc. Fuzeium took its familiar approach of framing the dashboards with a question, supported by an explanation and visuals. The primary source of the information is the Calgary census for 2017. Calgary has over 1.23 million people, spread across over 240 communities. Panorama Hills not only has the highest population but has a high density with 3.24 people per household. The Beltline has 5951 dwellings per sq km. and are mostly occupied by renters. There were 6534 dwellings under construction at the time of the 2017 Census, most of which were in the downtown area.